Would you like to learn how to meditate and set up your own personal practice at home? I specialize in teaching people how to integrate a simple and easy meditation practice into their lives. I offer a personalized 3-hour session where you’ll learn everything you need to know to get started with a meditation practice. This comprehensive session is designed to give you the tools and knowledge to establish a Simple, Easy, Every Day (SEED) meditation practice in the comfort of your own home and the convenience of your schedule. You’ll learn powerful, time-tested practices that are simple and easy to do at home to improve your health, calm your mind, and build your resilience to stress. This session is ideal for 1 or 2 people who would like a more personalized approach. Are not really sure about meditation but are curious and want to give it a try. Would appreciate receiving a broad overview of meditation in order to determine which practices might be the best fit for you. Want to learn from a certified meditation teacher who has a science background and is qualified to help you start a practice that will meet your unique needs. Want to understand more about meditation and not merely be guided in a nice meditation experience. Have been told by someone or have a sense that your physical, emotional and/or spiritual health would benefit from learning how to shift your body out of the perpetual state of stress that so many of us experience. Prefer to have personalized 1-on-1 instructions. In this session you’ll learn that there are various ways to meditate, You’ll discover the basics of successful meditation, what meditation is, what it isn’t, experiences you might have, the five essentials of a successful practice, and the many benefits that will unfold for you when you learn to meditate. The mainstay of the program is a meditation technique that has you focus on your breath and a silent sound, or mantra, that helps you to direct your attention inward and go beyond your thoughts to re-connect with that place of peace. The technique is powerful, yet simple to do. 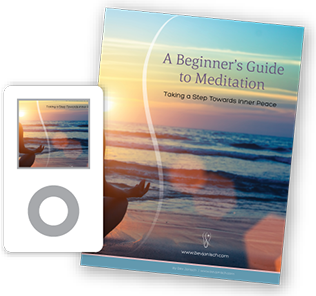 An introduction to a meditation practice that is not tied to any religious or spiritual traditions. Discovering mindfulness in everyday life. Understanding the effects of stress: how it accumulates and how to release it. Becoming intimate with the way your mind works: three ways meditation trains you to focus. Ways in which meditation changes your brain and the findings in neuroplasticity. Three ingredients for any meditation practice. The five essentials for a successful meditation. Easy to use meditation techniques. Guided meditation and personalized meditation instruction. How to meditate anywhere and create your own personal practice. Peace finder practices- what to do when you’re stressed at work or other situations. Contact me if you’d like to book a session. I am available for in-person sessions in SW Calgary or over Skype.